I found the morning to myself on Christmas Eve and went sea-watching up Southend pier. After the mile and a quarter stroll to the end I found that I had the pier to myself too apart, that is, from a few cracking birds. 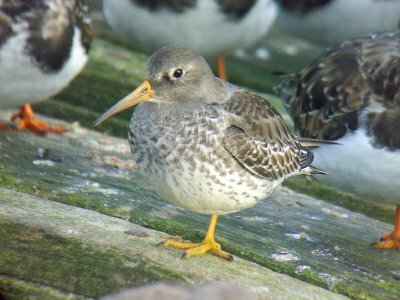 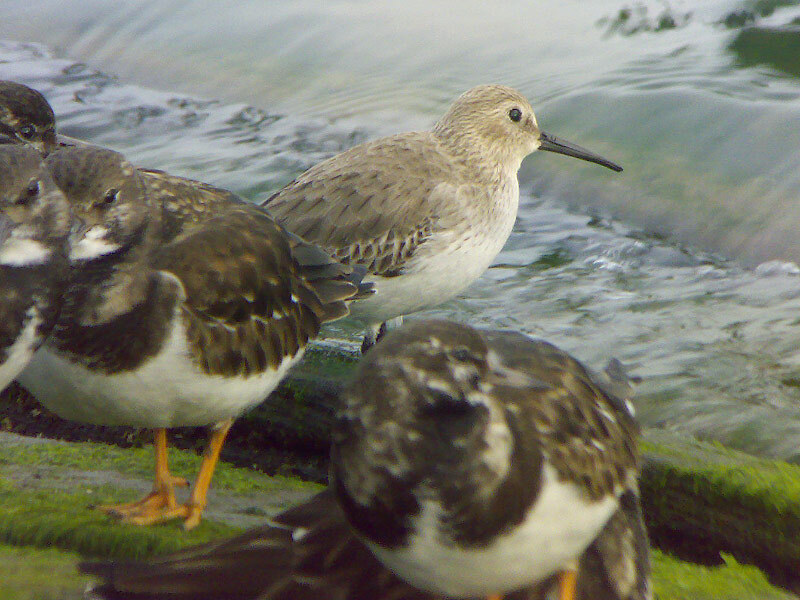 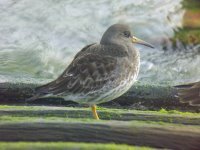 Among the Turnstone sitting out the tide were the returning Purple Sandpipers, a species I have somehow missed on every previous winter visit so was mightily happy to see five in attendance. 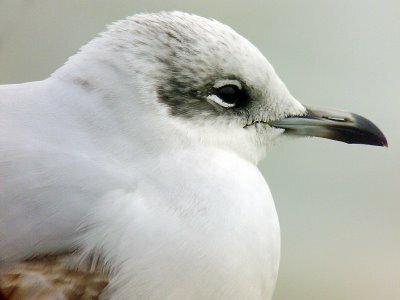 As ever the Mediterranean Gulls were showing well with five first winters, one second winter, and five adults loafing about. 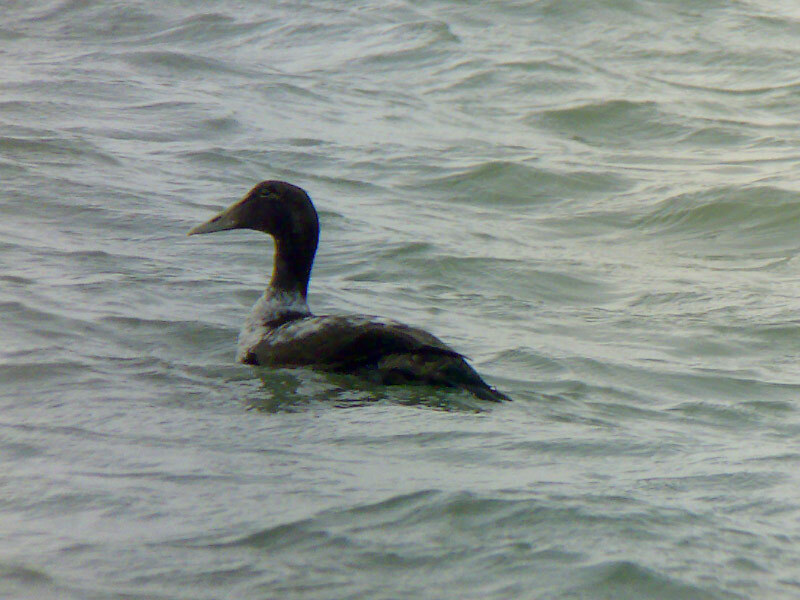 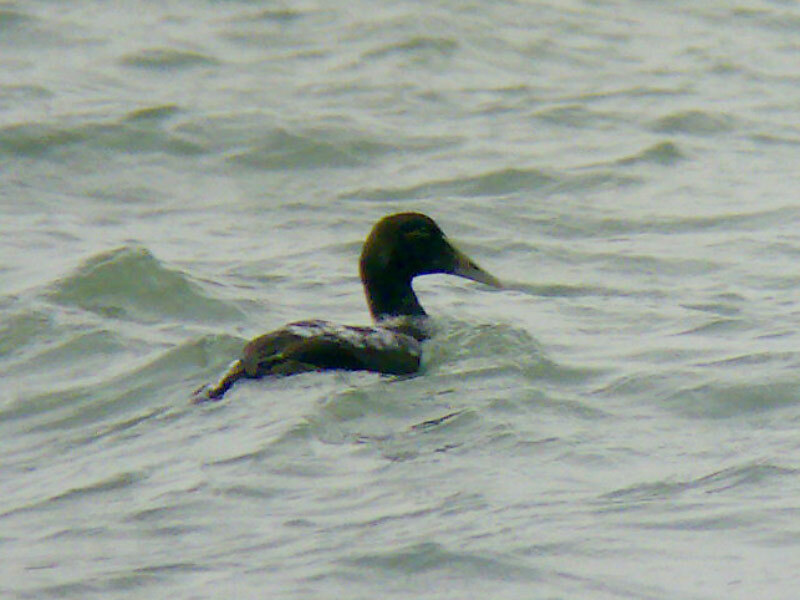 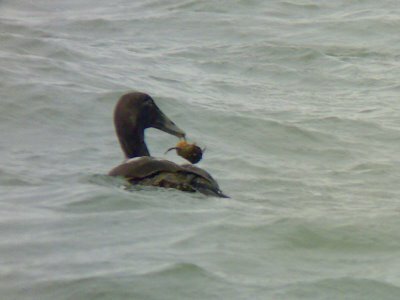 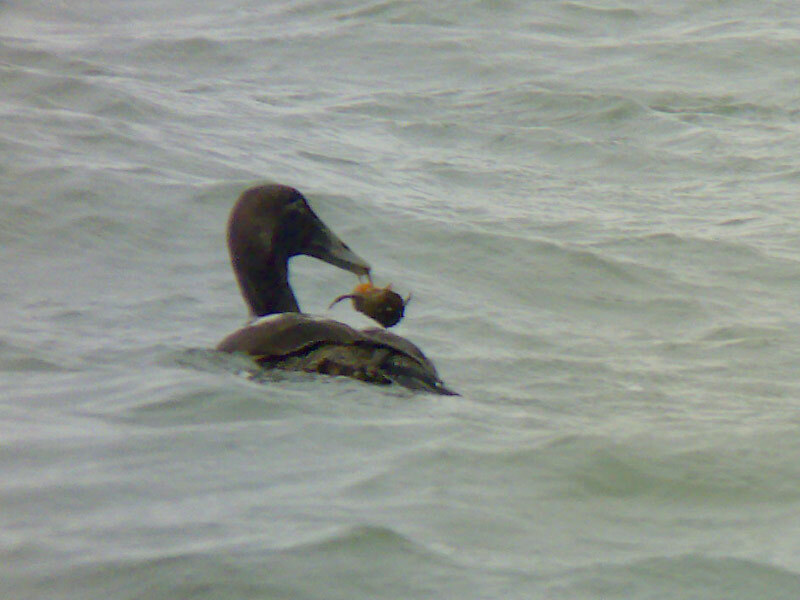 My Sea-watching efforts didn't bear much fruit until I turned for home and found a very handsome (first winter) male Common Eider gleaning crabs about fifteen meters away from the gents lavvy.